The Final Draft of Love is the Middle is Finished! A Sneak Peek of the New Book Cover Design Mock-up for Love is the Middle! It is a hell of a thing to lose somebody you love deeply. And just with the passing of time, it doesn’t cease to be a hell of a thing. Time may knock the edges off of your hurt, but it never completely goes away. At least the hurt from losing my father hasn’t dissipated after six years. I don’t even think that is a bad thing. I find that it is helpful when editing, not only to read the text through normally, but also once through aloud. Doing so, at least for me, forces a slower pace and I catch mistakes that I would otherwise miss. With that in mind, I decided that for my out-loud reading of “Love is the Middle,” I would just read the book to my kids about a chapter per day over the course of a few weeks. As of today, we only have a few chapters left and I have enjoyed reading the story to them. The chapter we read today was about when my dad told me that he had cancer and the three years leading up to his death. Reading that chapter to my kids, like several other sections of the book, was difficult. Since I wrote the entire book in a number of coffee shops, I was forced to visit many deep emotions in a public setting. It was one thing to write the book with all of my internal dialogue quietly being translated into text on a laptop by my fingers . But, I have found that vocalizing those same words to my children is quite a bit more difficult. I not only “think” the words, but hear my own words. The mere act of speaking some of the stories in the book versus only reading them has been quite a chore at times. But, I have managed through the book so far. As I finished up today’s chapter, which included a story about the last full “normal” day I ever spent with my dad, reading became harder for me. Then, when I saw the next chapter to come, the one that tells the account of my dad’s death and the days surrounding it, I realized that I cannot do my duty tomorrow. When I only contemplated reading that chapter aloud, I quickly realized that it would be beyond the scope of my ability. Or, if not beyond my ability, beyond what I desire to do. I suppose I will just let the kids read the rest of the book through on their own or perhaps my wife will read it to them. But, not me. It would just be too damn hard to speak all of the remaining words. Since I have not had much luck so far predicting how the book will hit me emotionally, I have no desire to break down crying like a child in front of my children. I think that would be the most likely outcome. Rarely do I hold back my emotions from my children, but some of them need to be for only me. I hasten to complete and publish the book. I hope you will read and share it. “Love is the Middle: The True Story of a Father and Son” is nearly finished! As of today, I am half way through my final edit of, “Love is the Middle: The True Story of a Father and Son.” It was January 2014 when I wrote the first words of the book. Now, other than some final tweaks, it is nearly finished. When I started writing, I did not know how long it would take me to write the book or how long the book would be. My main priority was that I didn’t want to rush it. 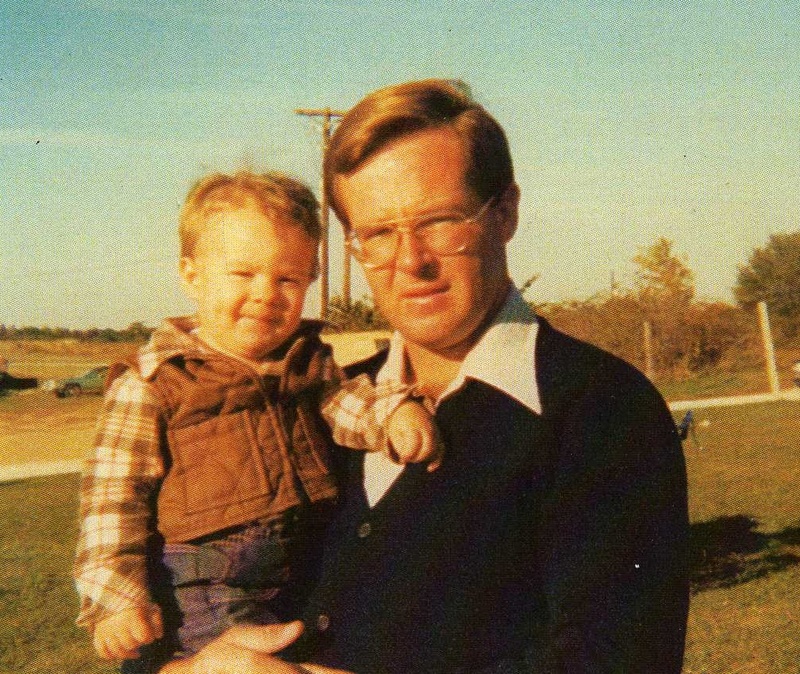 I waited nearly five years after my dad died to start writing the memoir of our relationship. It took years for the reality of his death to sink in and for me to grieve that loss as fully as possible. Through the writing of this book, I have grieved his death even more— and in ways that I did not anticipate. Now that the book is almost ready to publish, I have a different priority. Perhaps it is more of a hope. I truly desire that this book grows legs and does some “walking around.” Once my work shifts from writing editing to publishing and publicity, I’ll do my damndest to make that happen. My father and I went from being miles apart in our relationship with a burnt bridge between us, to genuinely saying “I love you” again. The story of how we did that is a hell of a tale. I hope you look forward to reading it. A picture my daughter, Lydia, took of me before I left to write this morning. I have been working on the first draft of my new book, “Love is the Middle,” since January. It is the story of how my deceased father and I grew far apart during my teens and then restored our wanting relationship during my twenties. I also cover the few years after when we were very close, his battle with cancer before dying, and how I adjusted to life after his passing. As my custom is for writing this book, I go to Steak ‘n Shake where Dad and I spent untold hours bullshitting over coffee after we became close again. 100% of my writing of this book has been done at various Steak ‘n Shake restaurants, spread out between two states. I have been writing the first draft since January of this year. Since I am not a full time writer, I work in writing sessions between running my own small business, being a husband, father, and singer/songwriter. The flexibility I have has lent itself well to being consistent with writing the new book over the course of the year. Other than during a much needed emotional hiatus from writing the book for a bit over the late summer, I have worked on it between one and three times per week all year. It may seem strange to write such a personal book in public. I chose to do so for two reasons: 1. Being in the atmosphere of a place that my father and I spent so much time together has been crucial to facilitate the mood I need to tackle this book now that my dad has been dead for over five years 2. Since I am writing so many difficult and personal things for others to read (and hopefully learn and be encouraged from), I figured that it would be appropriate to do so in the company of my fellow humans. Writing this book in public has not been without its difficulties. Nearly every writing session, I tackle something that makes me want to cry. I can never anticipate or predict what specifically will cause that. It just happens. As my face sometimes leaks a bit and I become visibly emotional, I trust that my fellow humans around will not judge me as too much of a weirdo. When I left the house this morning, I was fully purposed. I knew that I was within perhaps only hundreds of words left to write to complete the first draft of the book. 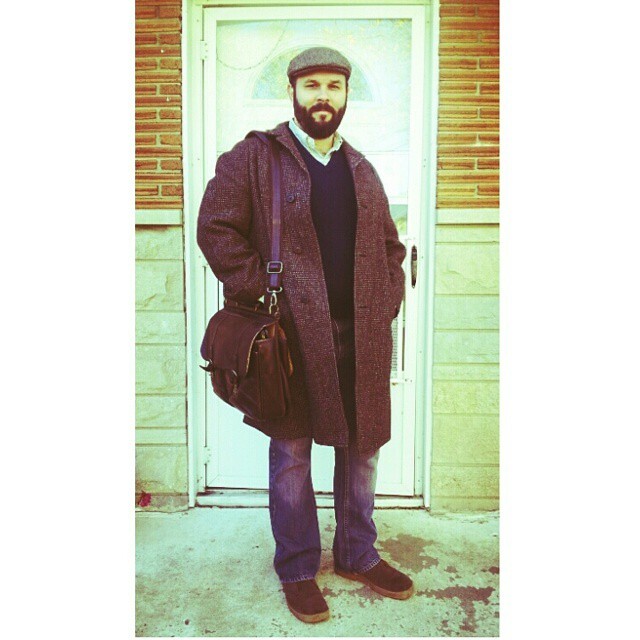 With my Harris Tweed overcoat on to protect me from the cold, November morning weather in Indiana and my fully-charged laptop in tow, I lit out from the house for a writing session. After arriving at Steak ‘n Shake, I popped up the book file in Word and started to review a bit of the last sessions text before jumping into a fresh writing session. As I did that this morning, I had a strange realization; other than some “afterword” type stuff that I will not write until the book is completely edited and proofed, the book is finished. Well, the first draft anyway. And then it started to sink in. The book that I anticipated writing for five years, felt that I NEEDED to write, decided to tackle this year, and have now been working on for ten months… is finished. That took a moment to absorb. I have cooked since I was very young. I love working on a tasty dish: adding the primary ingredients, adding a pinch of this, a dash of that, and tasting for flavor development as it goes. Then, at a certain point, you realize that the dish just tastes “right.” Everything that needs to be in it is in it. Adding anything else would mess it up. It takes maturity and experience as a cook to know when your dish is at that point. All you have to do then is let it finish simmering and serve it up for all to enjoy. After I re-read the last half of what I wrote during my previous writing session, it hit me like a brick that this book is done. The bitter-sweet recipe is complete. Writing, “Love is the Middle,” has been one of the most difficult and rewarding creative tasks that I have ever engaged in. Actually, it has been THE most difficult and rewarding creative task that I have ever engaged in. Now that draft one is finished, I look forward to the editing/proofing process that comes next, as well as formatting and graphics. Self-publishing is an adventure! I truly hope that when finished and published in print and online next year, “Love is the Middle,” will “grow legs” and walk around this world a bit. That would make me very happy.